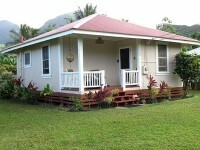 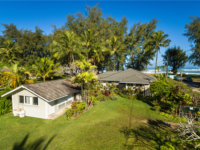 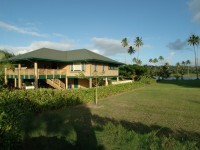 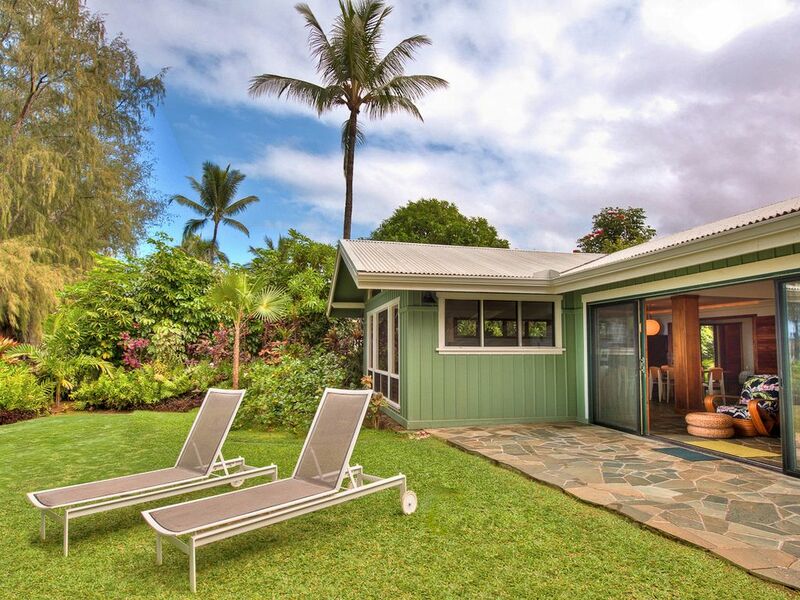 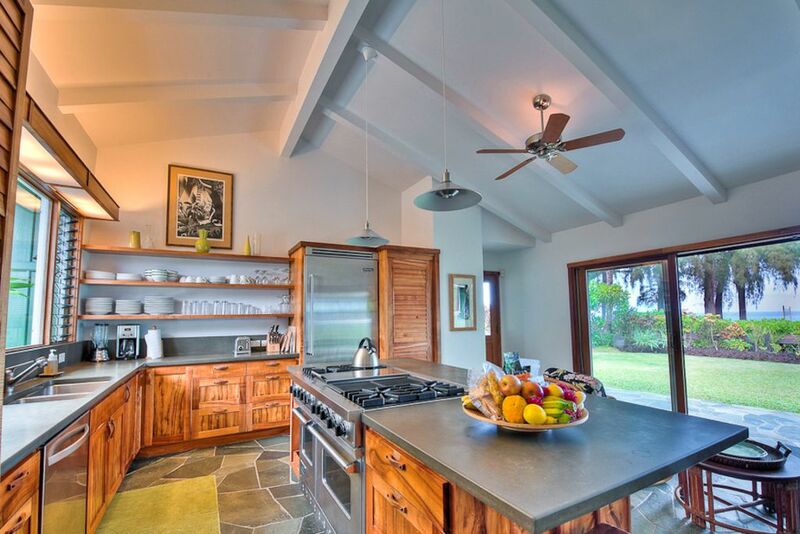 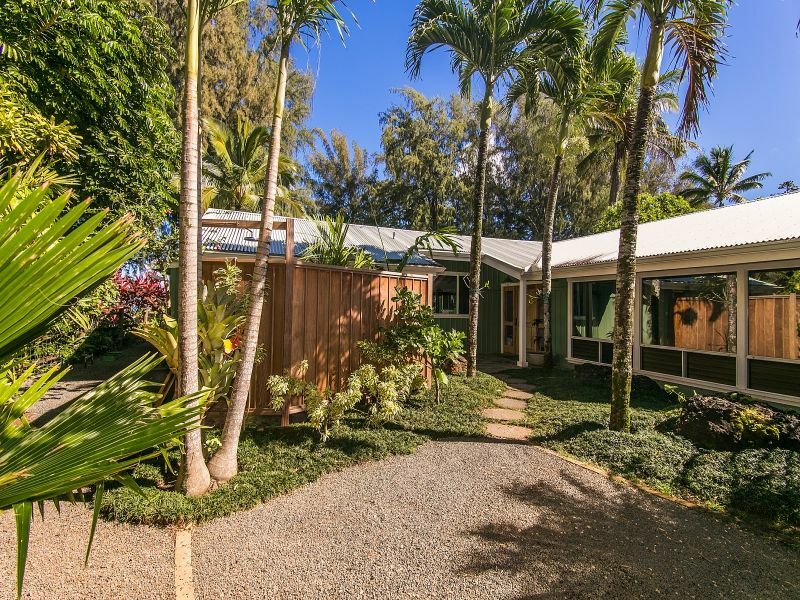 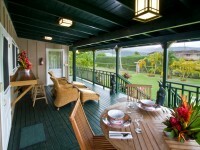 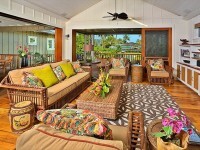 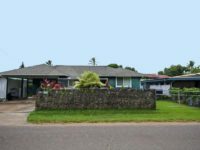 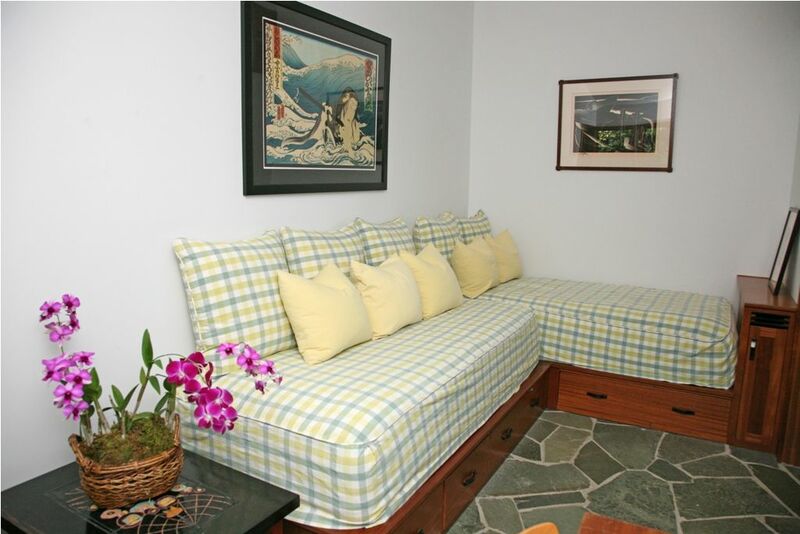 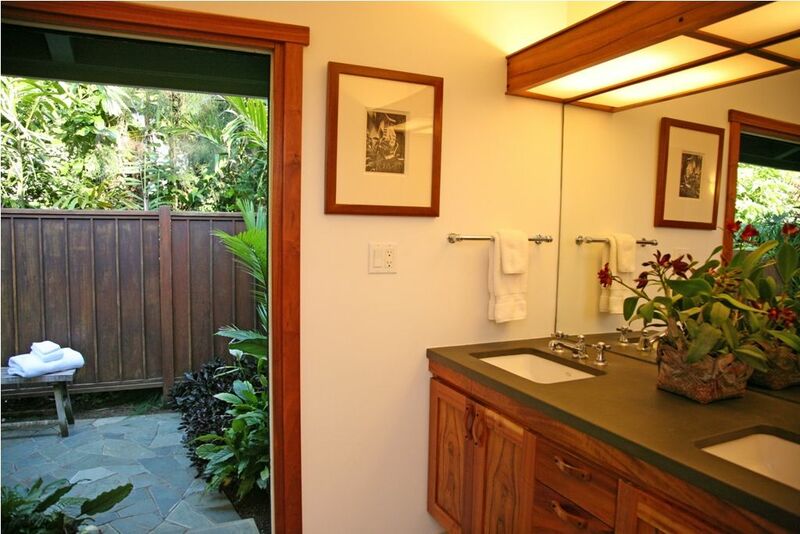 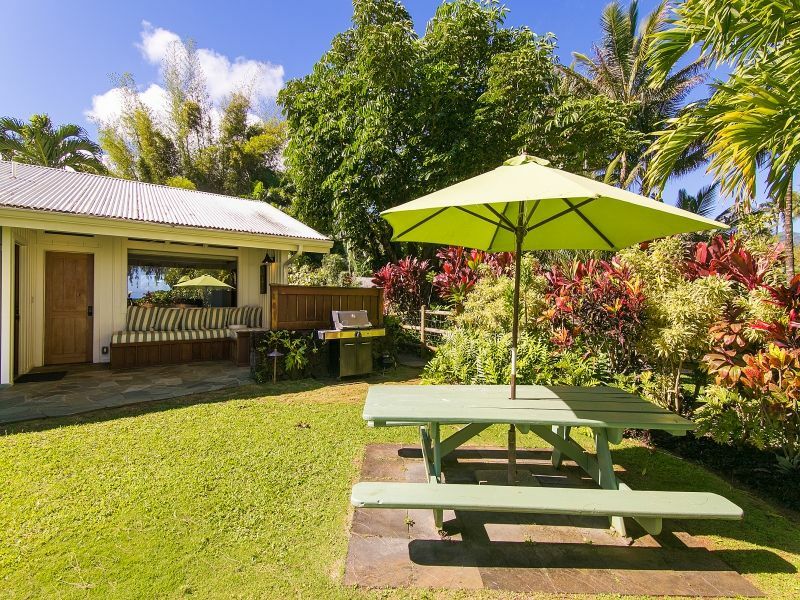 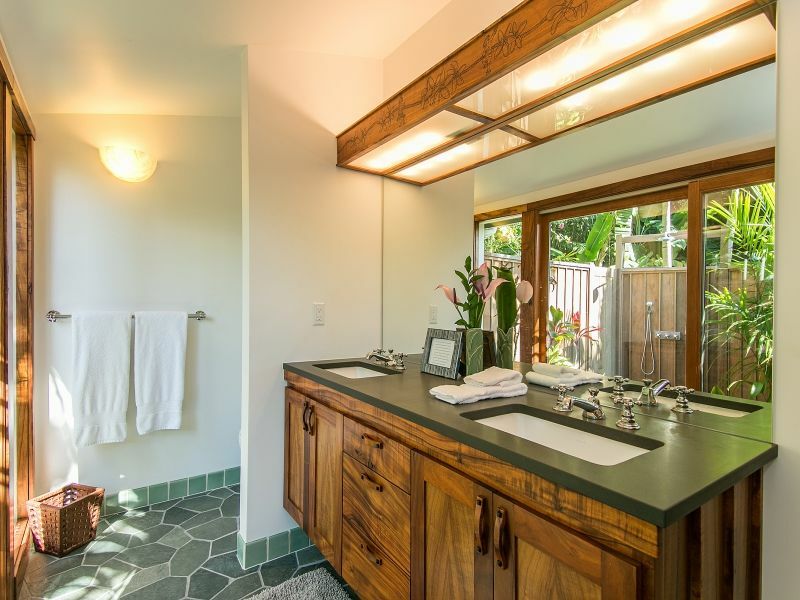 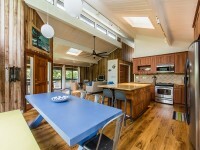 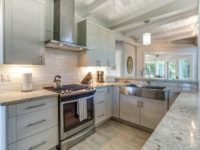 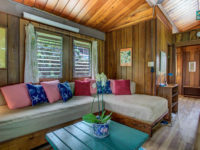 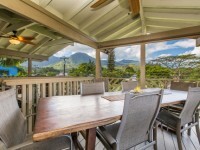 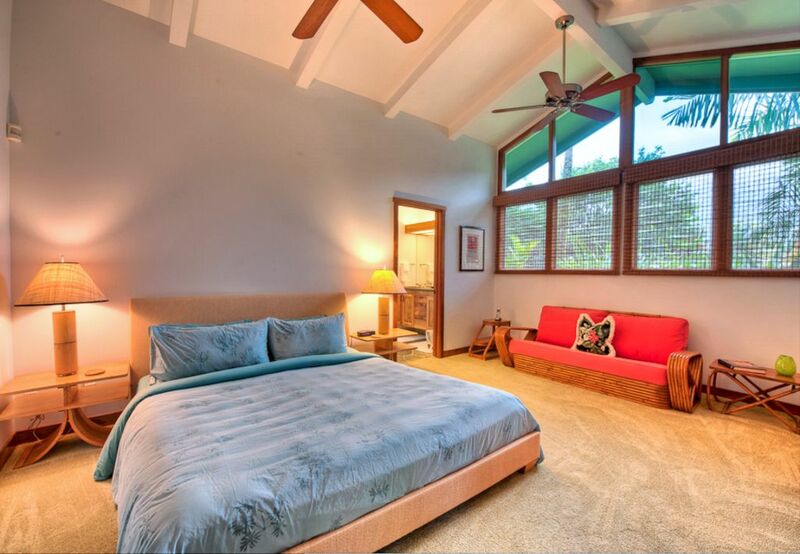 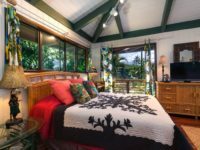 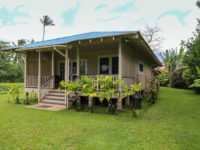 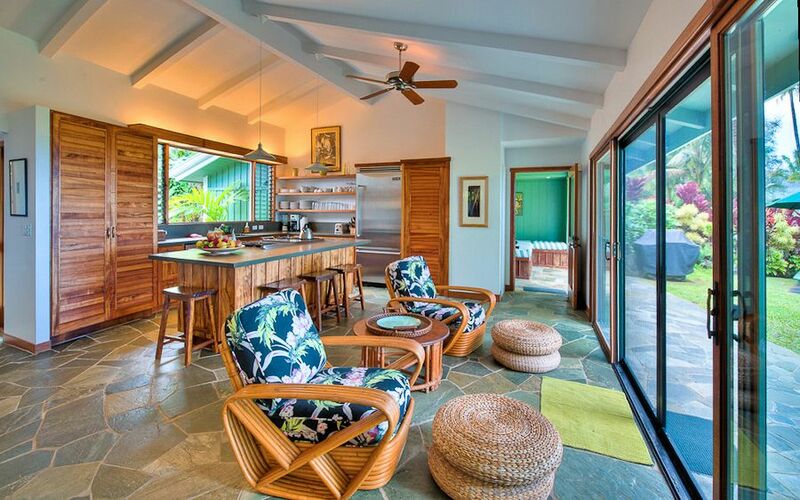 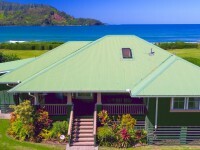 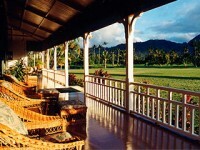 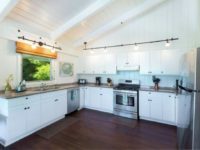 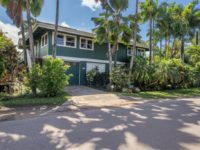 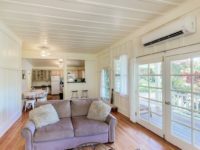 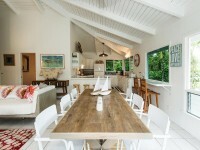 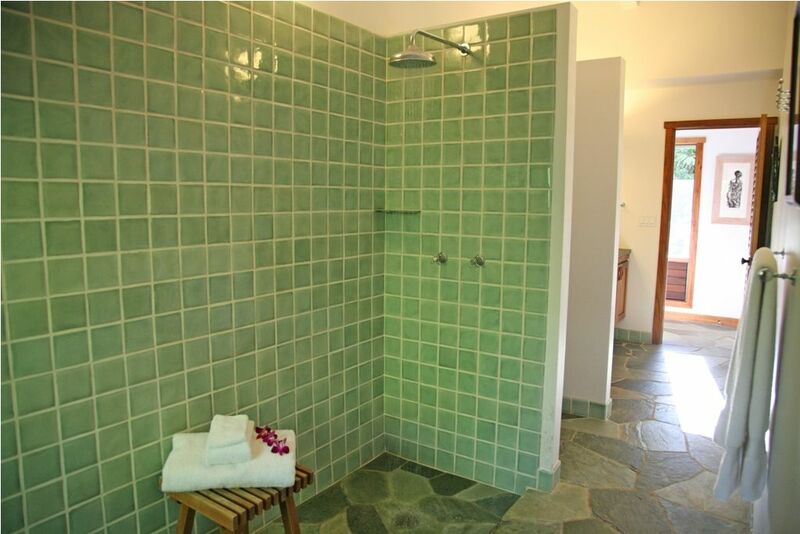 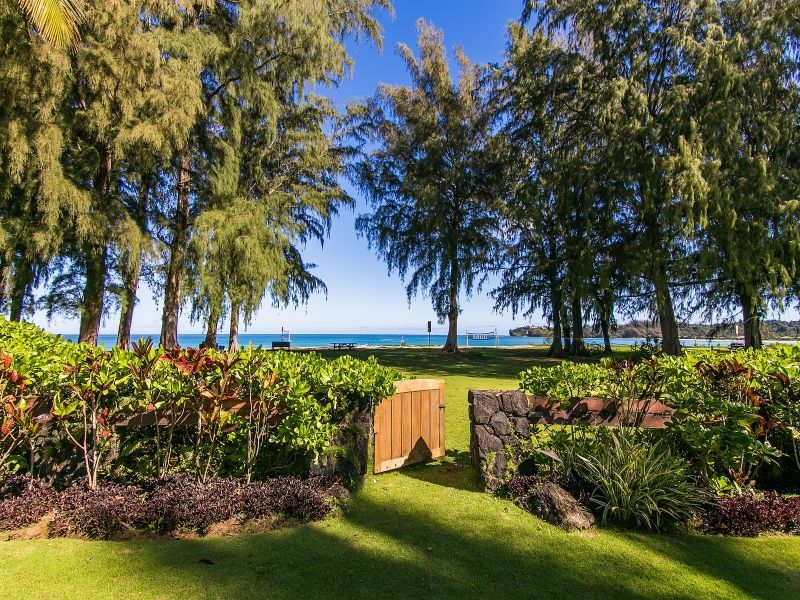 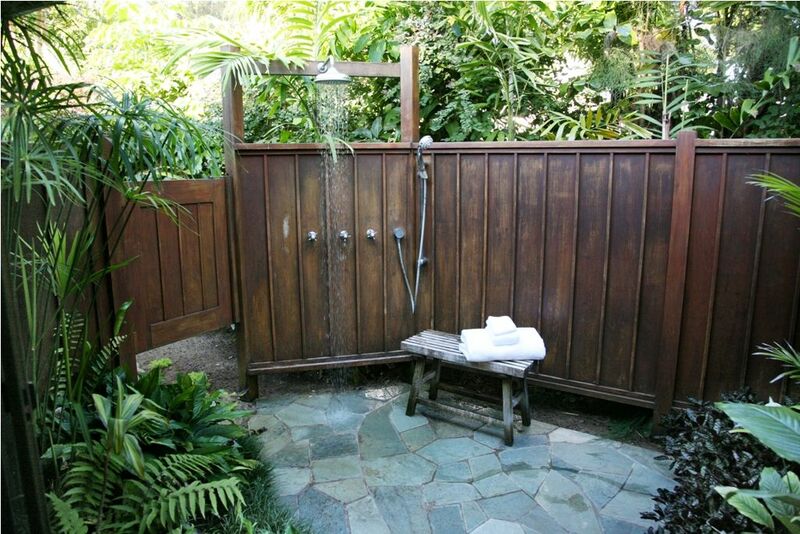 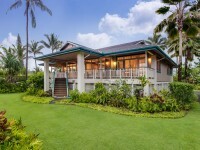 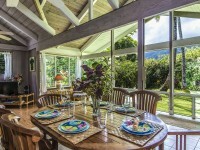 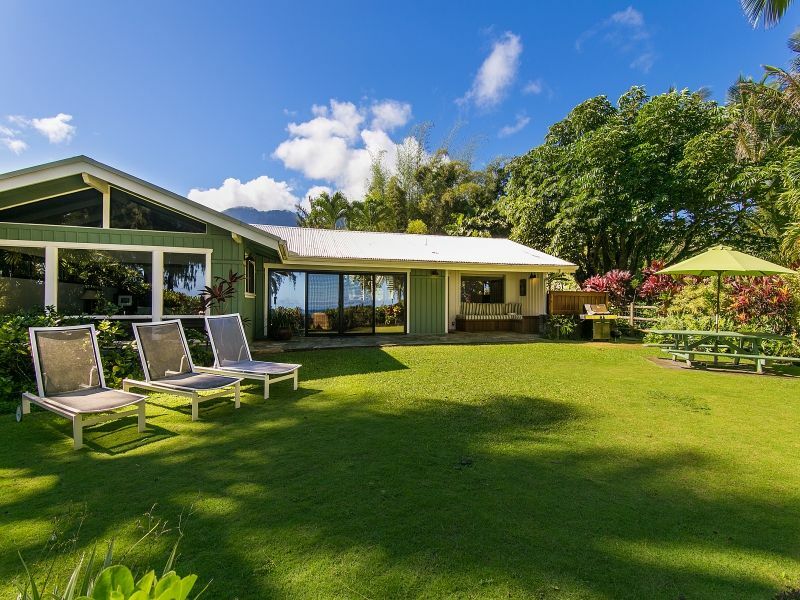 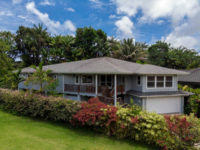 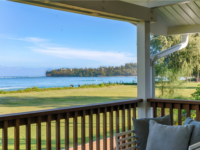 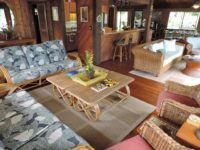 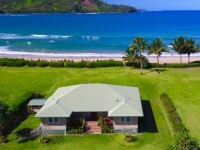 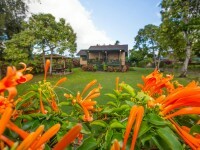 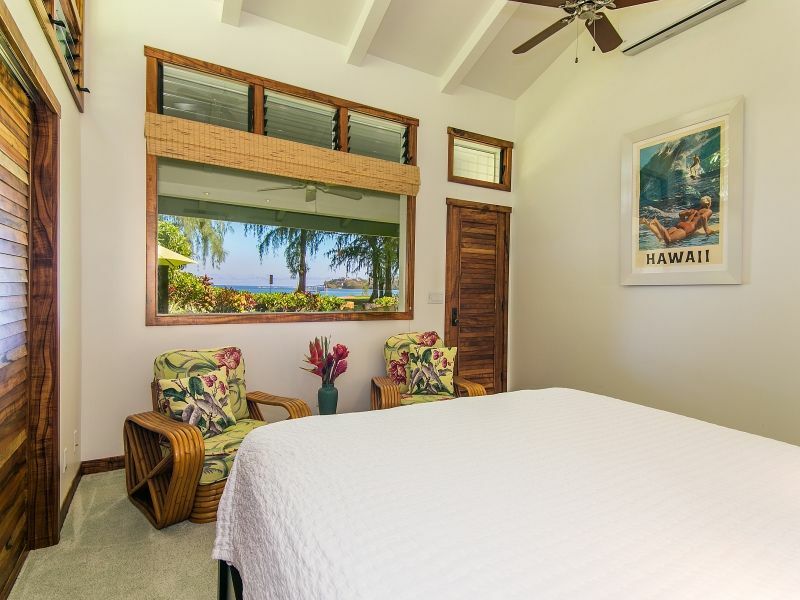 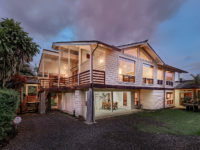 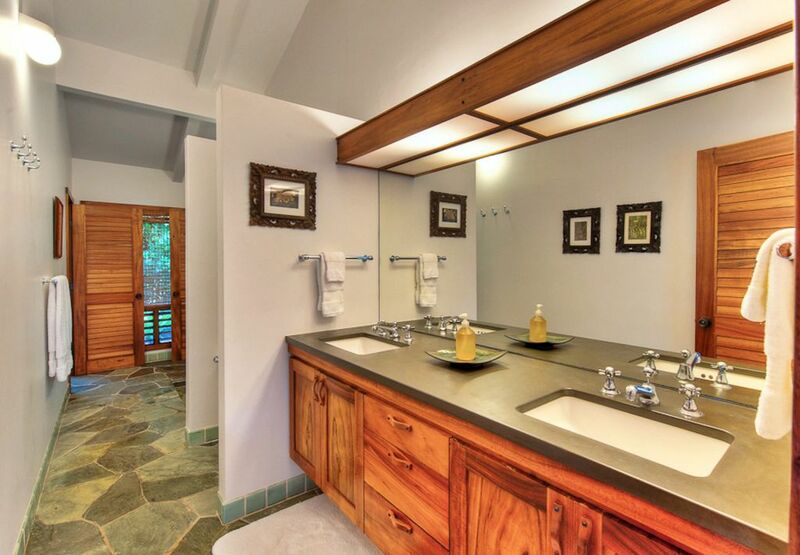 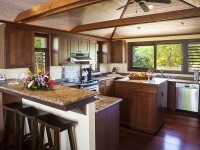 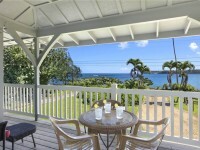 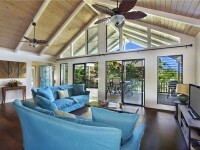 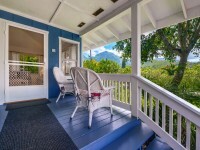 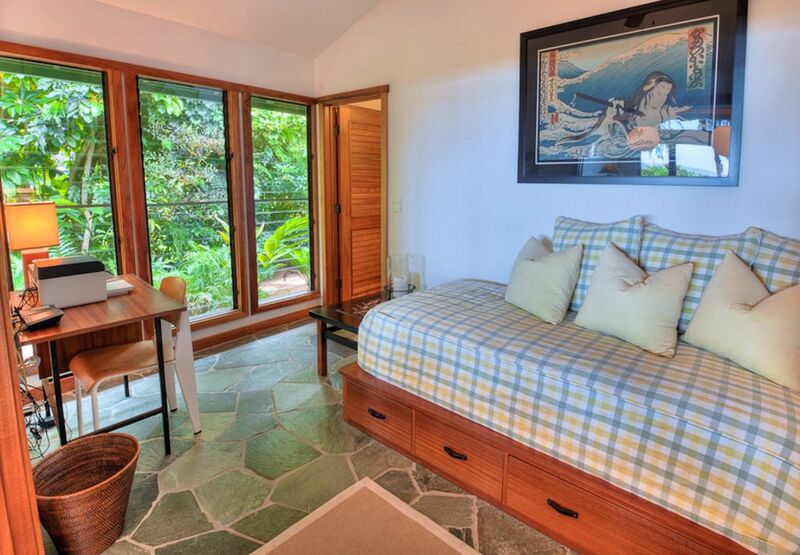 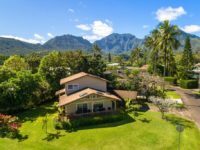 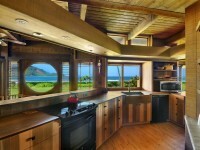 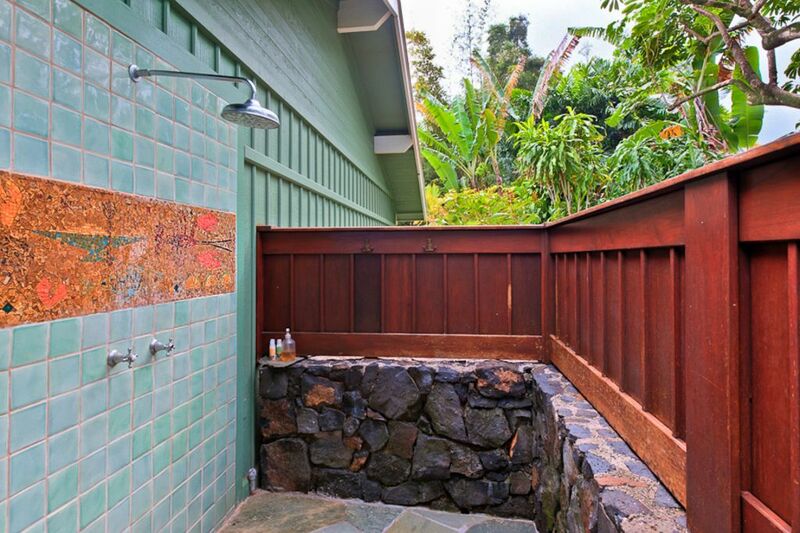 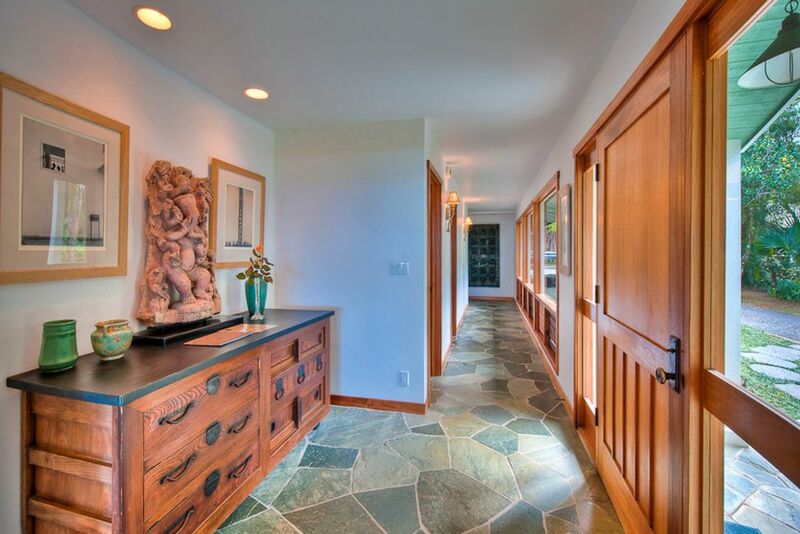 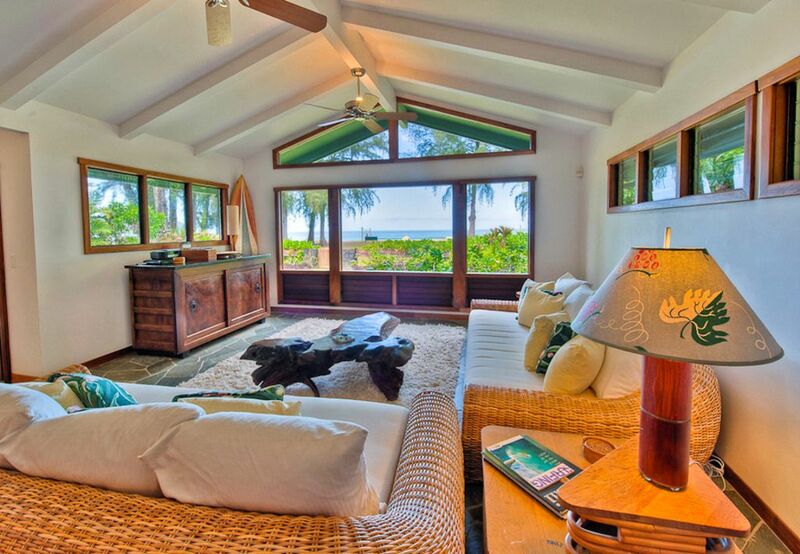 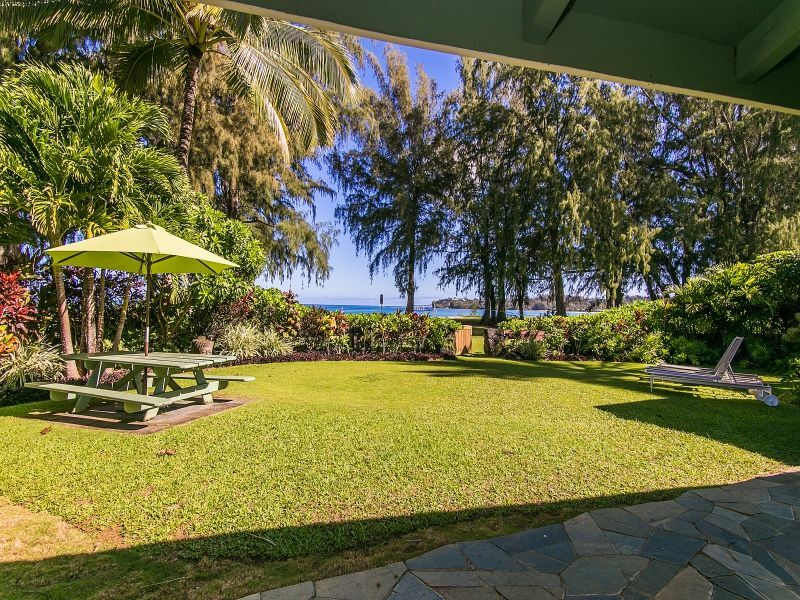 HANALEI, KAUAI VACATION RENTAL: Located beachfront on the enchanting Hanalei Bay, Lani Kai (“Heavenly Ocean Home”) is a newly remodeled four bedroom, three bathroom home ideal for a large family or couples traveling together wanting some well-deserved space. 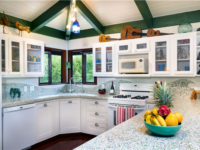 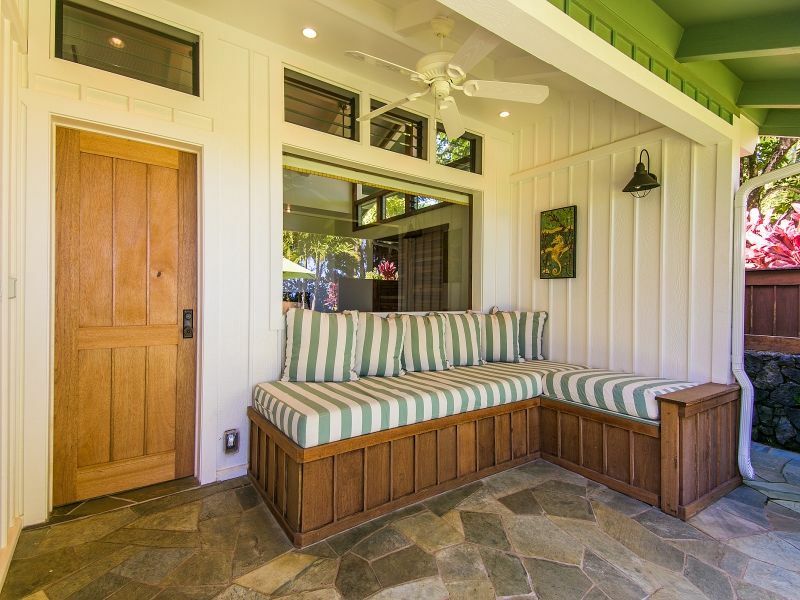 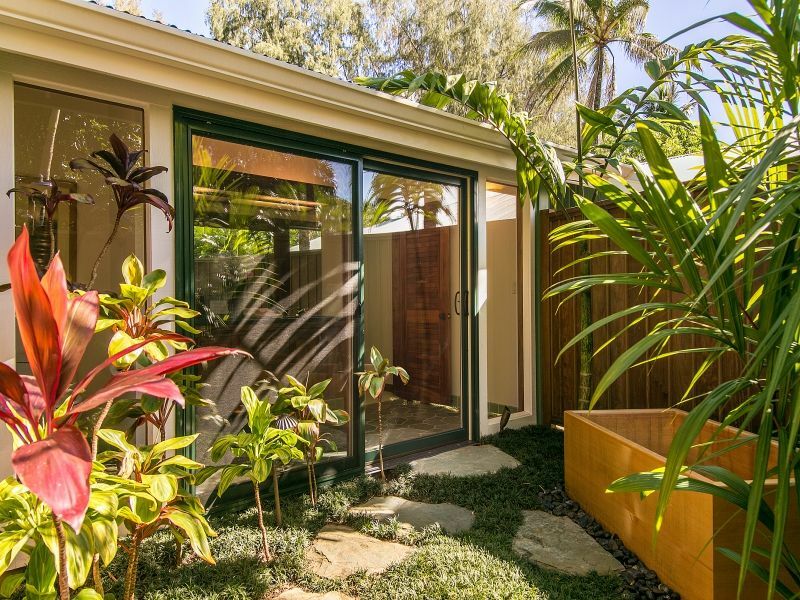 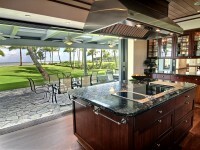 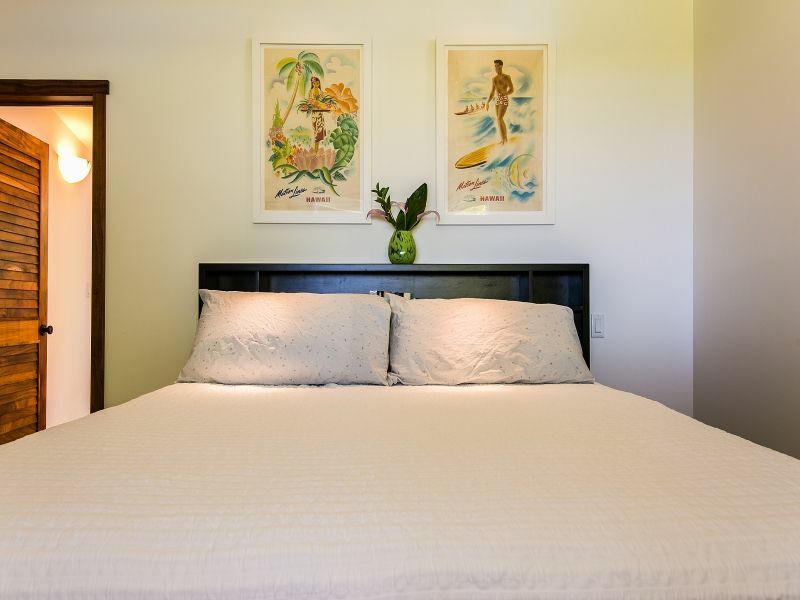 Recent renovations include slate floors, Hawaiian chic furnishings and Koa wood throughout– including the bedrooms, bathrooms, kitchen and custom crafted doors. 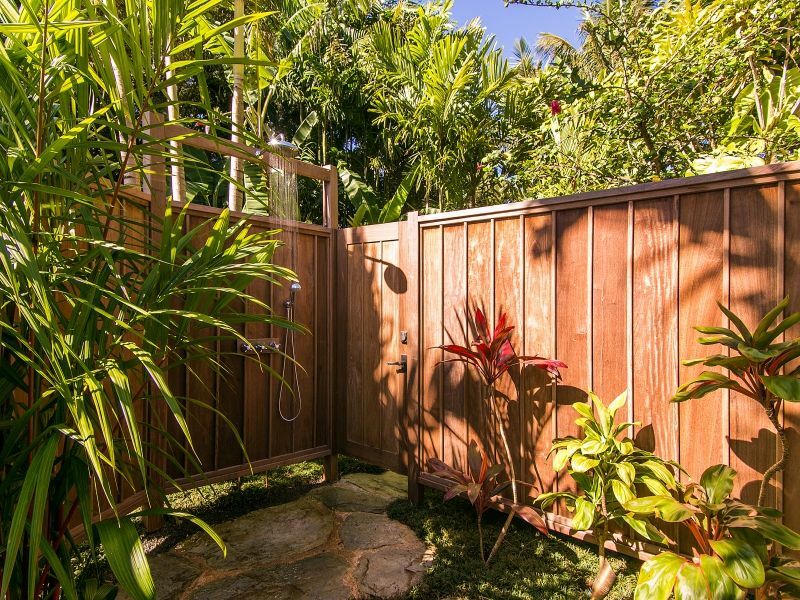 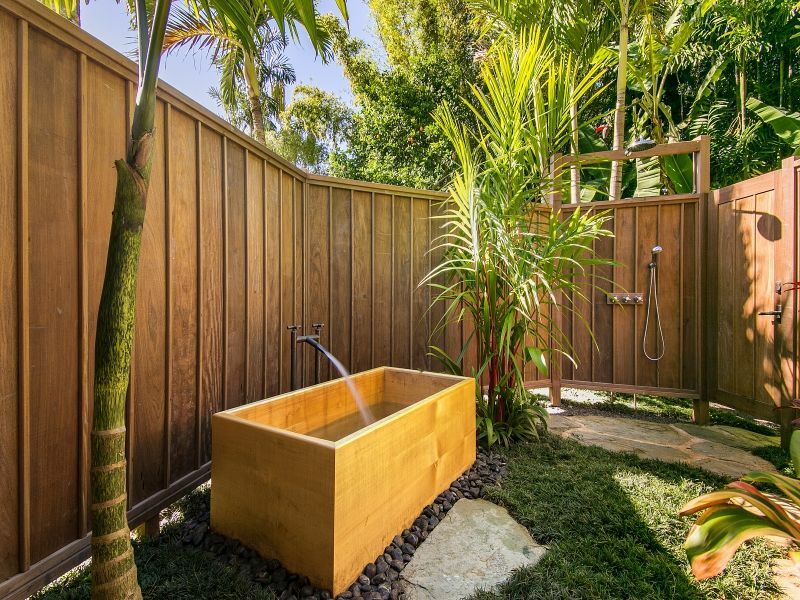 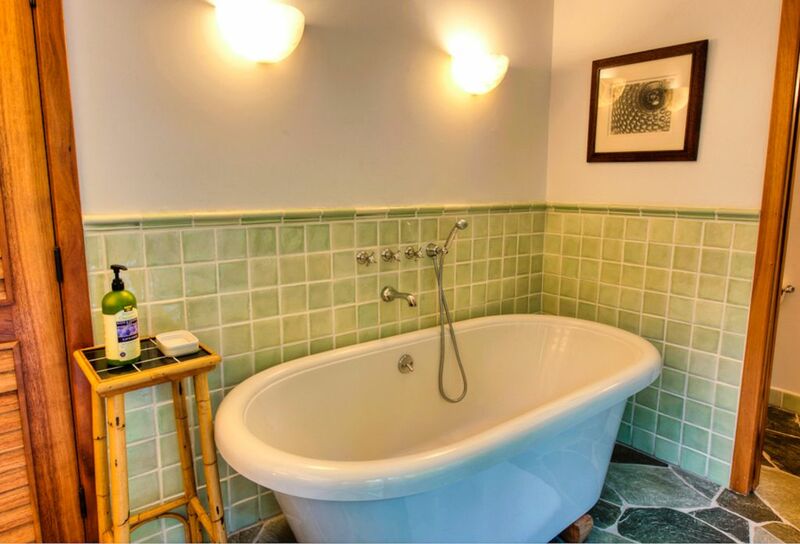 There are two carpeted master bedrooms featuring a California-King and a private bathroom with both a soaking tub and private outdoor shower. 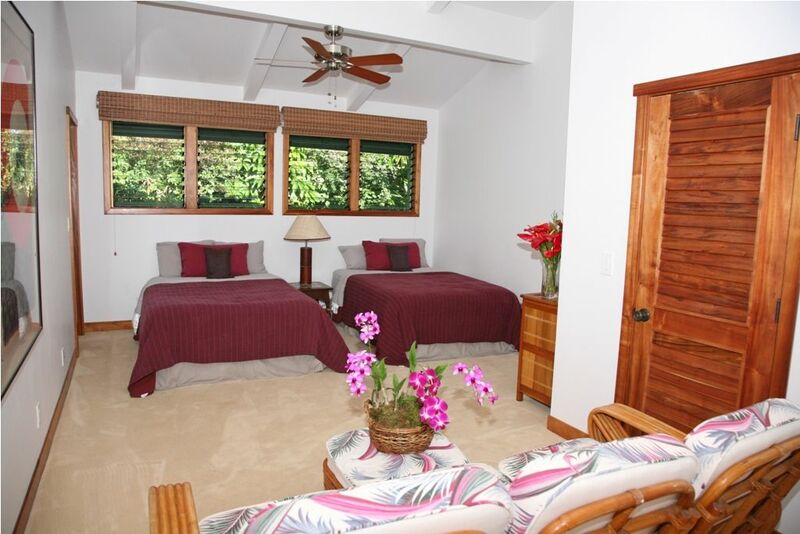 The third bedroom, also carpeted has two doubles and the fourth room is an office/lounge fusion featuring a desk, fax and two twin sized pune’e, perfect for an afternoon nap or supplemental sleeping areas. 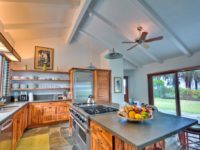 The spacious living area is fit for family time while the gourmet kitchen affords the culinary types ample space to prepare a feast. 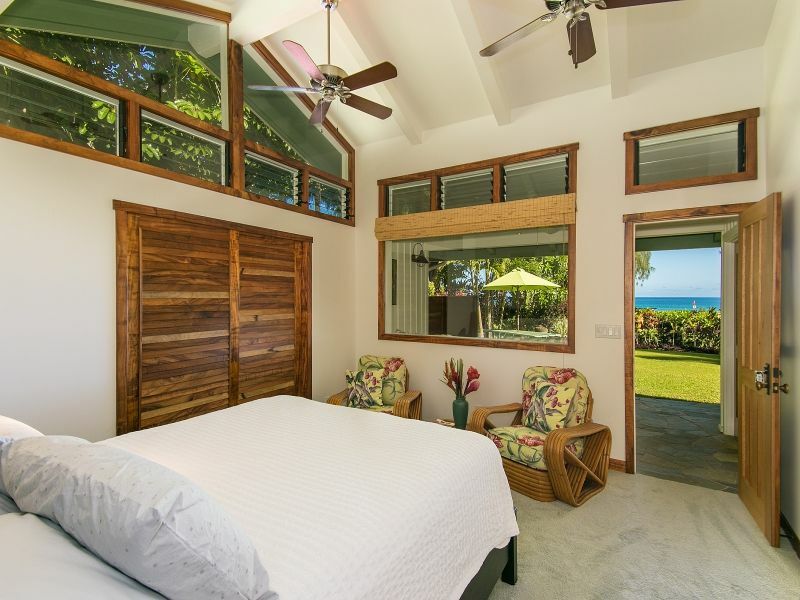 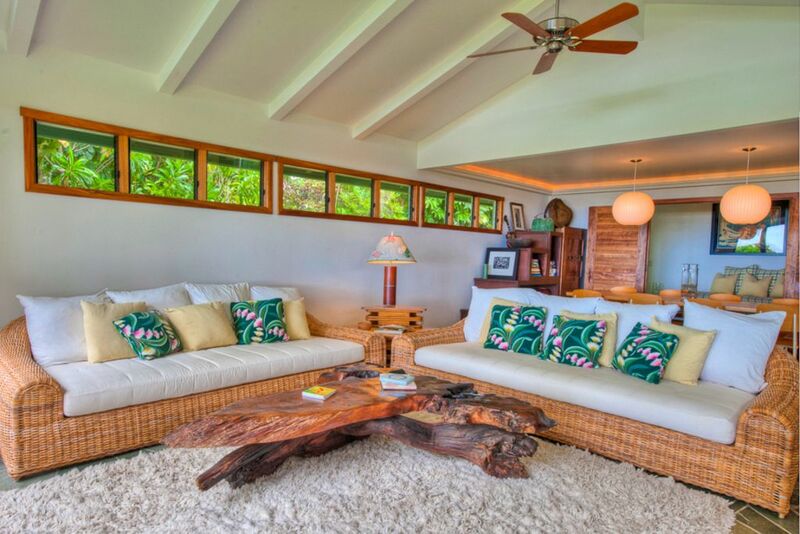 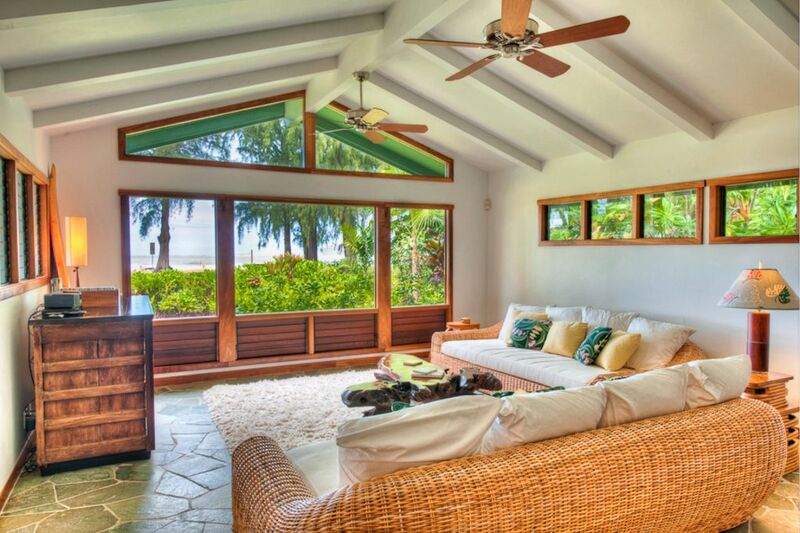 While the vaulted ceilings throughout expand the sense of space, the numerous floor to ceiling windows allow for maximum light exposure, letting that sweet Hawaiian sunshine beckon all to play in the beachside grassy yard or the waters of Hanalei Bay just beyond.